Speed is supposed to be a hallmark of Microsoft's Internet Explorer 9, but the head of a Web optimization firm says improvements are negligible on the most popular Websites. Joshua Bixby, president of Strangeloop, used Webpagetest to measure the performance of Internet Explorer versions six through nine (in beta), including video. For the top 200 Websites ranked on Alexa, Bixby found that the IE9 beta was just a hair faster than its predecessor on average first page load times, and a little bit slower on average first view renders. On these measurements alone, Microsoft appears to have made its biggest advancements with Internet Explorer 8, not the latest version. 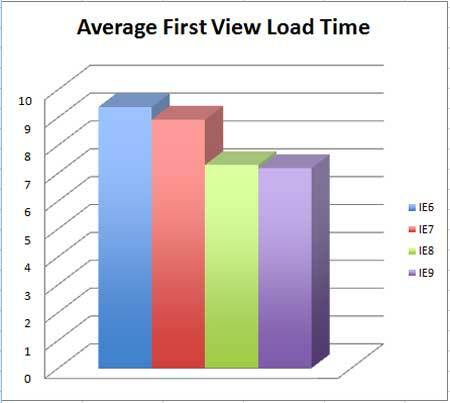 In other words, IE9's speed gains are focused new techniques, such as HTML5 and Ajax, which may become popular in the future. Take a small grain of salt with Bixby's conclusion: Strangeloop is in the business of optimizing Websites, so Bixby's test conveniently ties into his company's business. In any case, IE9 has more going for it than page load times. The browser sports a new, minimalist user interface that's more in line with Chrome and Firefox 4, and it allows Windows 7 users to dock Websites in the taskbar. 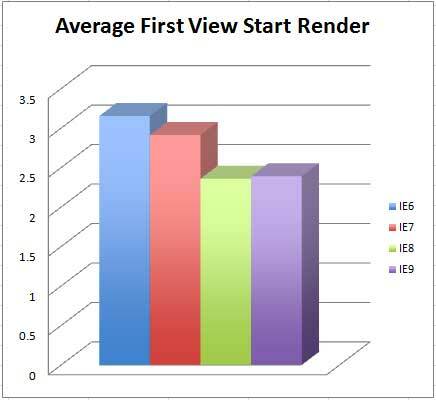 And according to some tests by Engadget, IE9 starts up faster than its predecessor -- but still slower than Chrome and Firefox -- and consumes less memory than Chrome. With all these improvements, IE9 feels faster even if individual Websites don't show it.